Although the Völklingen Ironworks went out of production comparatively recently, they are the only intact example, in the whole of western Europe and North America, of an integrated ironworks that was built and equipped in the 19th and 20th centuries and has remained intact. Historically this plant was a model for many other similar installations throughout the world. 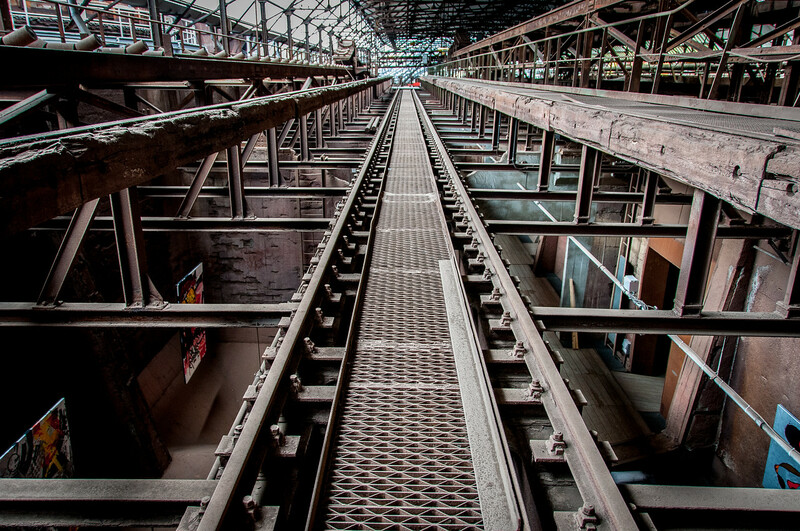 The first works were established on the site by the Cologne engineer Julius Buch in 1873 to produce girder iron and railway sleepers by the puddling process from Luxembourg ore. It ceased operations in 1879 and was acquired by Karl Rüchling two years later. The first blast furnace (now No. 3) was built in 1882-83, and four more furnaces were added between 1885 and 1893. A coking plant was added in 1897, and three years later the first gas-blowing engines were introduced. Völklingen was the first ironworks in the world to use blast-furnace gas on a large scale to drive enormous blowers providing blast to the furnaces. The initial pair of engines was eventually increased to nine. By the end of the century, Völklingen had become one of the most productive works in Europe and Germany‘s largest producer of steel beams. 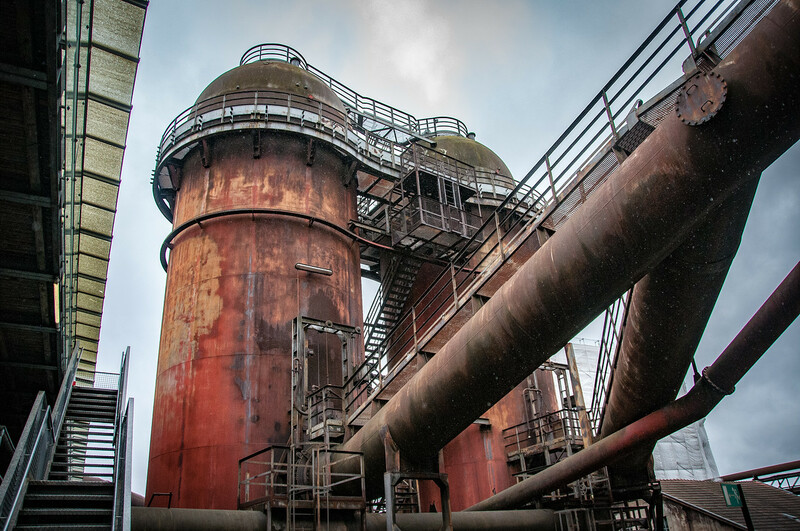 A sixth blast furnace was built in 1903, and in 1911 the new charging platform was constructed, supplied by an electrically driven suspended conveyor system for coke and ore; this was the largest system of its kind when it was built. Völklingen was the first ironworks in the world to take dry gas purification technology beyond the experimental stage, installing the plant in 1911. 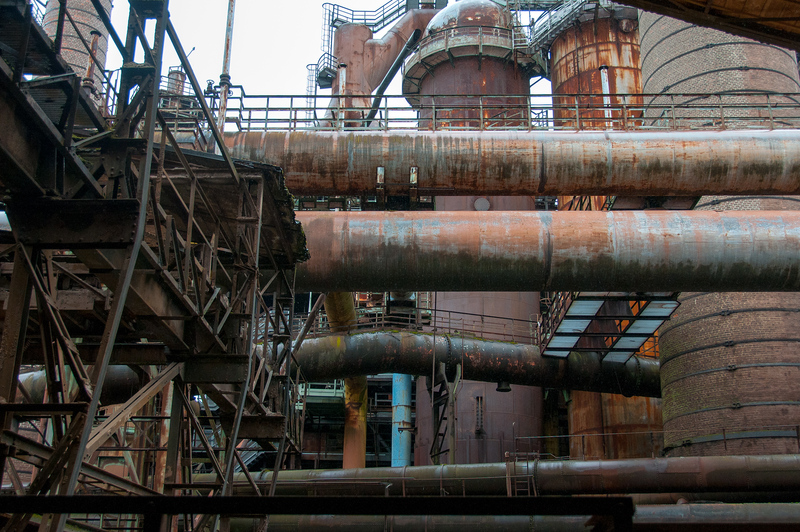 The final major addition to the Völklingen complex was the large ore-sintering plant; after experimenting with ladle-type sintering, the company installed a large belt-type system in 1928-30. This pioneering plant became a model for many other similar installations throughout the world. In 1935 the coking plant was rebuilt and enlarged. From the end of the Second World War until pig-iron production ceased in 1986, only minor modernization and maintenance took place. The gas-blowing engine hall, with its unique battery of machines, the dry gas purification plant, the suspended conveyor system, and the sinter plant were all pioneering installations in their day. These processes influenced pig-iron production throughout the world. The Völklingen Ironworks was the first industrial world heritage site. Prior to it, every world heritage site had been a national park or something hundreds of years old. It ran continuously from the 1870’s to the 1980’s and is a mixture of equipment dating from all periods. Having a fully equipped iron works is very rare. After more facilities are shut down, the equipment is either sold or scrapped. Because of the short time between the closing of the plant and its listing as a world heritage site, there was little time to remove anything. (Also, I was told that it was cheaper to just have it declared a monument than it was to dismantle the factory and clean it up). As with previous industrial world heritage sites, I thoroughly enjoyed my time at the Völklingen Ironworks. You can still smell the oil and machinery even though it hasn’t been used in decades. Also, the company did not go out of business. They only closed the blast furnaces. All around the site you can see steel mills which are still in operation. If you look closely, you might see a railroad track which had “torpedo” cars which carry molten pig iron from one plant to another. The Völklingen Ironworks is a cultural UNESCO World Heritage Site in Germany inscribed in 1994. It is located in Völklingen, Germany. This site was recognized by UNESCO for its representation of modern ironmaking plant that was innovated in the 19th century and operated until the 20th century. 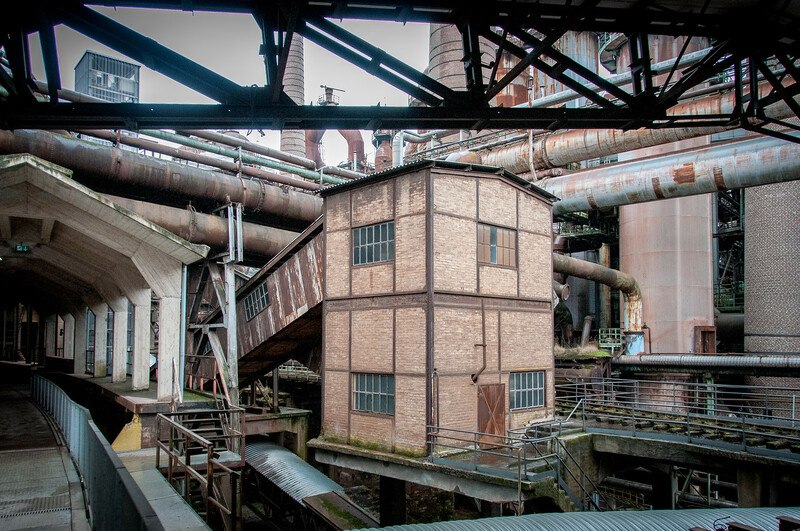 In addition to being named as a World Heritage Site, the Völklingen Ironworks is part of the European Capital of Culture and European Route of Industrial Heritage. The history of Völklingen Ironworks started in 1873. It was Julius Buch who planned the construction of a steelworks industry in Volklingen. However, his plan never panned out and the construction was stopped. Carl Rochling continued his vision and started a new construction in 1881. The smelter was operational for a few years until the ironworks plant was shut down in 1986. At the height of its operation, Völklingen Ironworks employed 17,000 people. These people worked on the furnaces, coke oven, sintering machines, and stoves, on top of other heavy machinery. The entire plant sits on a 6-hectare property. All of the processes involving the pig iron production takes place here. Today, the former plant is open as a museum. Within the former Völklingen Ironworks is the Ferrodrom, which is an interactive science center. This center displays information related to the history of iron making. The production area is also open for tourists to explore. 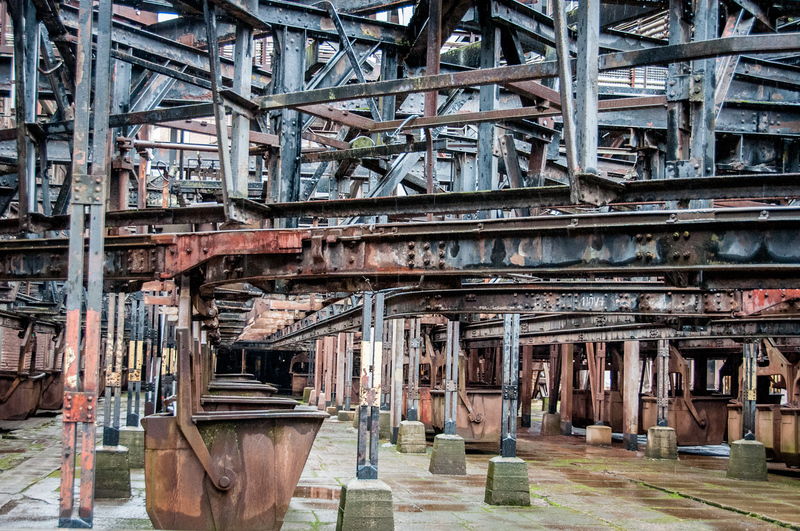 Throughout the year, there are temporary exhibits held in the Völklingen Ironworks among the large power halls. During the summer, tourists can also join occasional concerts held at the grounds. This site is therefore unique and is popular for a reason. It is where industry and art meets. The giant chimneys once churned out smelting iron and produced deafening noise around it. Today, it is now a venue for exhibits and concerts. In fact, an average of 2.5 million tourists visits this UNESCO site each year (an average for the last 10 years). The Völklingen Ironworks is located in the town of Völklingen in Saarland. It is located near the French border and is about 10 kilometers west of Saarbrucken.